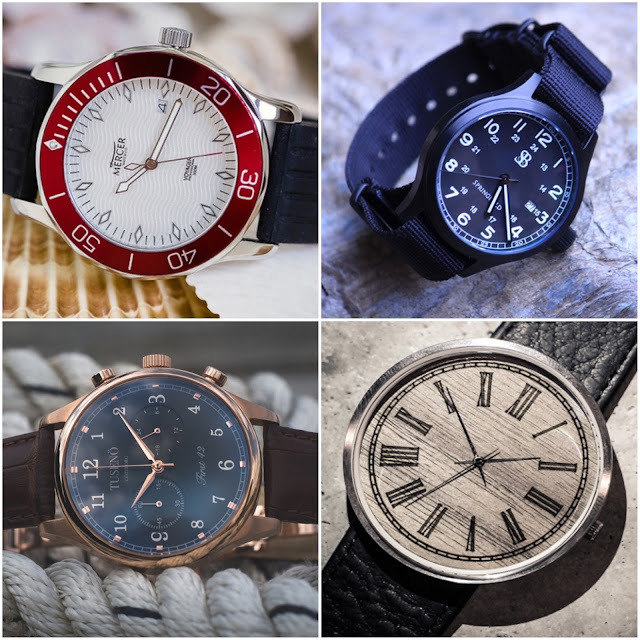 It looks like the crowd funded watchmakers have been busy all summer because autumn has brought a bumper crop of watch projects. Some are genuine bargains ready to harvest, some are promising but not quite ripe, others are best left to rot into compost. Let's have a look. 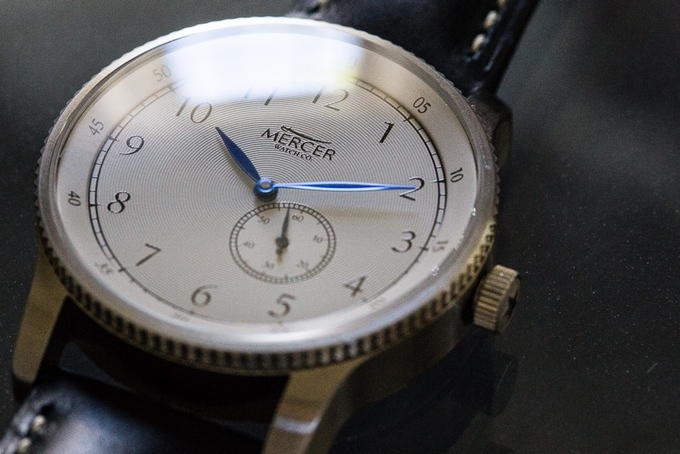 The Mercer Watch Co. has already produced two successful models, the Brigadier and the Wayfarer. Now they are doubling their line with a pair of nautical-themed automatics. 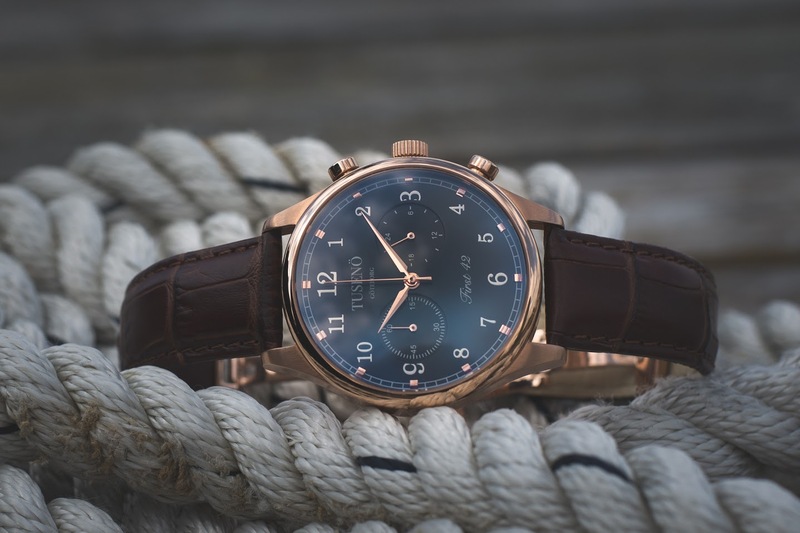 Privateer is a variant on a marine chronometer with a circular textured dial, feiulle hands, a 60-minute chapter index, and a small seconds dial offset at 5 o'clock. The brushed stainless steel case is 42mm wide, 12mm thick, and coin edged with a sapphire crystal, and 100m water resistance. A peek through the exhibition case back reveals a Miyota 8245 automatic. It is offered with a white dial and blue hands, or a navy dial and silver hands, on a padded calfskin strap. 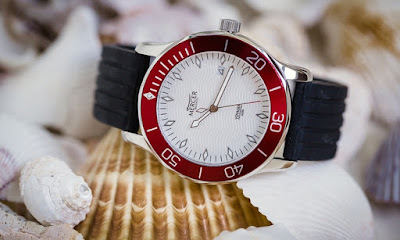 The Voyager is a 300m diving watch. Like the Privateer, it also has an anti-reflective sapphire crystal and 42mm stainless steel case, but it is polished with a faceted timing bezel. The case back is solid and decorated with the image of a square-rigged ship in high relief. The dial is distinguished by a wave texture and luminous, diamond shaped markers. Even with a logo and a full complement of dial text, the result is refreshingly open. My only complaint is that the hands seem slightly short, but this will be remedied in the final. The watch is offered on a steel bracelet or rubber strap. Three colors are offered: white with a red bezel, white with a blue bezel, or black with a black bezel. A Miyota 9015 runs the show. Both models will sell for $349. Kickstarter backers can get theirs for $249. Kickstarter veterans Smith & Bradley are back with the Springfield, a vintage military style watch assembled right here in the U.S. of A. Clearly, they consulted the finest sources for inspiration. Check out their drawing board picture. That's my photo of the 1969 Benrus and 1979 Hamilton reviewed here. Like the originals, the Springfield has a highly legible black dial marked for 12- and 24-hour time, but it has thoroughly modern specs: domed sapphire crystal, C3 SuperLuminova, 100m water resistance, and a Ronda quartz movement. It is offered in both brushed stainless and PVD finishes. 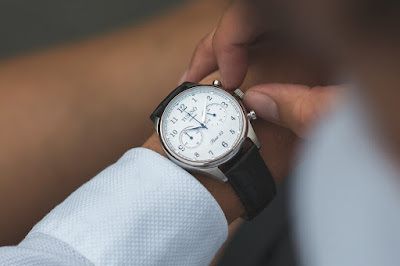 The biggest departure from the original watch is its size. 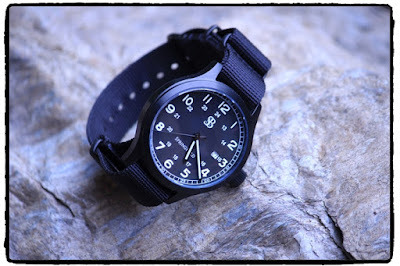 It is a whopping 48mm wide, large enough to swallow a 34mm Vietnam-era watch. This gigantic case is hooked to a relatively narrow 20mm strap. Those frying-pan proportions give me pause, but it looks good in the photos. Kickstarter backers can buy one for just $159. From Göteborg Sweden comes Tusenö Watches. Their debut offering is the First 42, a dress-sport chronograph driven by the popular Seiko VK64 MechaQuartz. The 42mm stainless steel case is brushed and polished. Rose gold PVD is an option. They have slightly domed sapphire crystals and are water resistant to 50m. 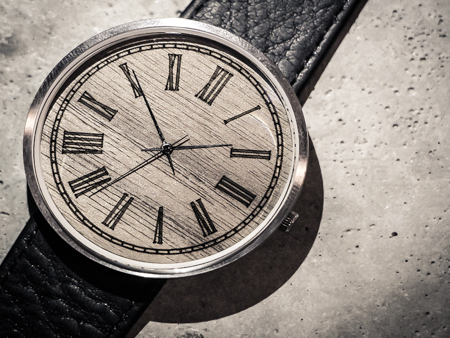 Tusenö opted for a conservative dial design with Arabic numerals, a railroad index, and beveled lance hands. Dials are white or sunray black. The brand name is a touch large to my eye, but the overall proportions are good and I appreciate that they chose balance over clutter and omitted the date. Three straps are offered: polished mesh, crocodile print leather, and suede with butterfly deployant clasps. In my opinion, the white/mesh and black/suede win the day. Early bird pricing for the First 42 starts at kr2540, or $308 USD, $100 off retail. 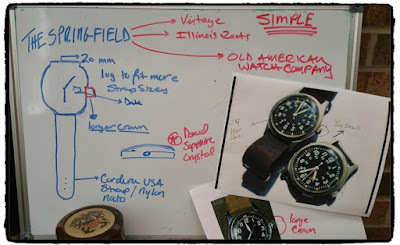 The folks at JAGD have gone out of their way to design a watch that you design. Confused? Well, we've got a round, lug less, stainless steel case measuring 43.5mm wide and 11mm thick, housing a basic Miyota quartz. It has a sapphire crystal, 24mm strap, and it is all dial. That dial is a blank slate, just waiting for your idea to be zapped into its surface with a laser. We've seen "design your own" ideas before and they usually fall flat, but the Osterbrø has promise. 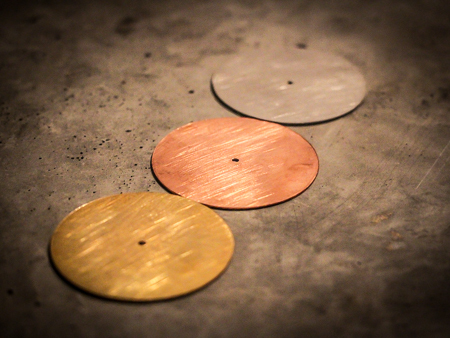 For one thing, they offer a nice variety of dial materials. Want metal? The choose from brushed brass, steel, or copper. Feeling woodsy? Try cherry, bamboo, mahogany, or walnut. Going slick and colorful? Then the Gravoply plastic is for you. Choose the case color (steel or gunmetal), hands, and then roll up your sleeves for the fun part: designing your own dial. You can pick a supplied pattern or whip up your own from scratch using Adobe Illustrator and the JAGD design template. Admit it, you've always thought you could design your own watch face. Here is your chance! For just kr1000 (about $150 USD), you might as well give it a shot. 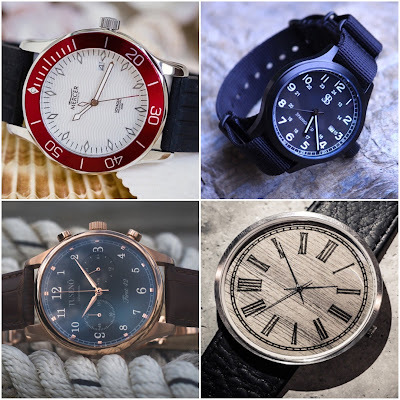 Finally, we have TōR "gorgeous luxury watches." 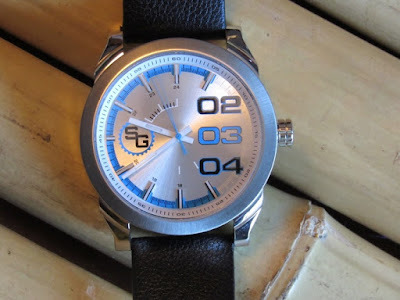 Have you ever wished somebody would make an homage to the Diesel Flare Chrono? Of course not. No one has ever thought that. It is an unbearably stupid idea, but that didn't stop TōR from trying. Looks like this one has already died on the vine. All photos courtesy of the watchmakers.